Try and spot the errors! You got here just in time, detective! We need you to use your skills of deduction to find the differences between two strikingly similar photos. It’s a race against time as you try to score as many points as possible before the clock runs out. It will take a careful eye–and sometimes the help of a few hint devices–to decipher the subtle changes between the pictures, but if anyone can do it, it’s you. 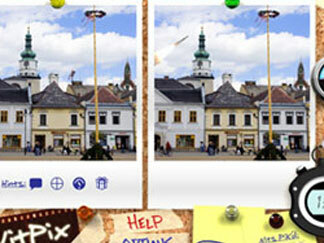 Play Nitpix today and get your sleuth on, Be advised, this isn’t your typical Photohunt game!